Paul Hart was born in Brandon, Manitoba. He spent part of his childhood there. Most weekends and holidays were spent in rural Manitoba – experiencing Nature, watching the cows graze. His mother and grandfather were both bird watchers and born conservers. Paul’s attitude towards Nature and his sense of values for Nature were established early. After graduating from Estevan Collegiate, Paul went on to the University of Saskatchewan, Regina Campus and completed a series of Bachelor degrees (Science, Biology, Education) with honours and great distinction. During this time, Paul’s interest in nature was expanded to include the science of Ecology as he learned from some key mentors: Evelyn Jonescu, Diane Secoy, and George Ledingham. Paul taught for a few years in the schools before pursuing his Master’s degree and his Ph.D. His Ph.D. thesis entitled “Environmental Education: Identification of Key Characteristics and Design for Curriculum Organization.” Established the direction that he currently pursues with vigor – EE and curriculum. Despite the heavy load of academia, Paul and his wife Carol, daughters Catherine and Caroline find time, wherever they live, to keep in touch with nature. Condie and the Qu’Appelle Valley hold special interest for them. When Paul was doing his Ph.D. work at Simon Fraser, they enjoyed the environment. Paul prefers to avoid the overcrowded “trailer camping” style and the business of zoos, preferring always the natural environment, if possible. Since 1979, Paul has succeeded as Assistant Professor, Associate Professor, and Professor of Science Education at the University of Regina. During this tenure, his achievements have been impressive and varied. He has taught a variety of science education, environmental education, and research methodology classes. In the mid-1980’s, he was contracted by Saskatchewan Education to research, field test, and articulate the foundation framework for the new Science Core Curriculum for K-12 schools. The Dimensions of Scientific Literacy, especially the Science-Technology-Society-Environment (STSE) Interrelationships concept has contributed to the integration of EE into Science and other Core Curricula. From 1987-1994, Paul was the Director of the SK Instructional Development Research Unit (SIDRU). Aside from the usual research projects, Paul championed the development of the Instructional Strategies Series of Booklets that provide direction for teachers to expand their repertoire of teaching methods in all subject areas. He has served as a research supervisor, on committees, or as an external examiner for dozens of masters and Ph.D. students, including Abraham, Benko, Benson, Molnar, Val Mitchke, and Radchenko. Paul has been a member of the NAAEE serving on various Executive Committees. He has won many awards for his research excellence in EE from NAAEE, U of R, JRST, etc. 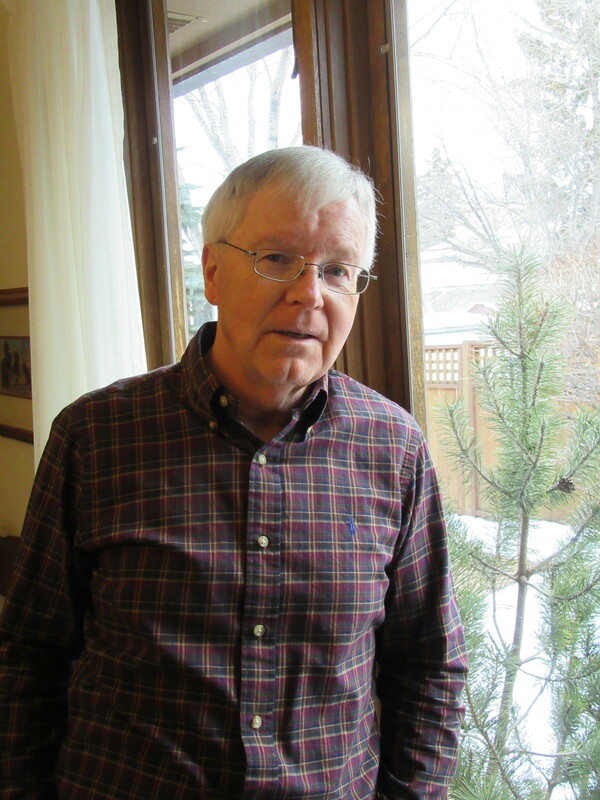 He has written countless papers, monographs, chapters in books, and during the late 1990’s his own books, the latest TBD called: Teacher thinking and practice in EE: Stories from Canadian Schools. He has made presentations around the world in places like: Denmark, Egypt, England, Finland, Japan Malta, Mexivo City, and South Africa. He is a founding member of EECOM and has been a member of SOEEA for many years. He has served with the UNESCO MAB/Net program. Currently, aside from his teaching and research duties, Paul is a consulting editor for the Canadian Journal of EE. He serves on the Advisory Committee for EE in Canada established by the Minister of the Environment. Paul Hart’s commitment to the environment has driven his research. He cares about children, teachers, and the environment. His research has given voice to teachers who use environment-related activities in their classrooms at all school levels. He has an extensive international reputation in EE and research. Through his eyes and works, the world is able to see what we do in EE in Canada. Paul knew Bernie Melanson. This award applauds his efforts. It is fitting that the first Melanson Award of the new millennium be awarded to Dr. Paul Hart for his outstanding contributions to EE provincially, nationally, an internationally. Congratulations! Mitschke, B & Hart, C. Paul Hart Melanson Award Citation, SOEEA, 2000.